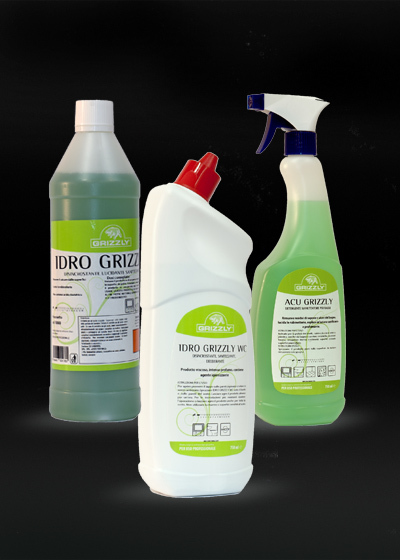 GRIZZLY has developed a range of ready-to-use detergents to specifically solve many small cleaning problems. Whether there’s a need of scouring or sanitizing of a surface made of glass, steel, laminate, carpet or tapestry, in an industrial or public environment, GRIZZLY has the specific and more suited product to the solution. It completely removes stains made by markers, pens, pencils, oils and greases. It resolves all kinds of difficult and resistant dirt. Suitable for all surfaces. It is a strong degreasing agent, it is a solvent,and it has low residual nature. It has no hazardous labelling because it does not contain traditional solvents (effective but toxic), but other components of the same effectiveness. It easily removes even signs of permanent markers thanks to a combined action: releasing, bleaching and solvent. Multipurpose product for a dual action: degreasing and removing of limestone. You can use it as a daily maintenance product in the bathroom and in the kitchen. It can in fact be used on marble and it is great for steel (kitchens, bar counters, work surfaces). This is a particular product, difficult to find on the market, because it’s a product for both degreasing and descaling, and with polishing properties for steel surfaces. 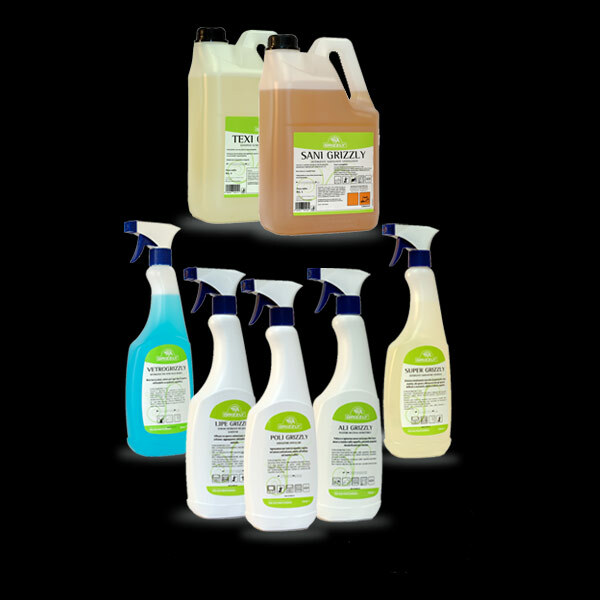 Specific product for the food industry, it cleans and sanitizes without rinsing. It is alcohol-based, so it stops the proliferation of bacteria, while the antibacterial component kills the bacterial count. The antibacterial content is of vegetable origin, it is an edible natural flavor, therefore rinsing can be avoided (which would otherwise be imposed by the HACCP protocol). It leaves no marks or residue on surfaces. It possesses decalcifying properties for steel. Specific detergent for kitchens and the food industry. It removes charred dirt from ovens and plates, forming a gripping foam. It can also be used to clean the grids by soaking. It can be used for the cleaning of cookers, hoods, ovens, plates and grids. Specific detergent for carpets and tapestry. It must be diluted in water and applied on the surface to be cleaned with a soft brush, rubbing to create foam. This forms a micronized foam that incorporates dirt and allows the removal. Ideal for carpets, rugs, tapestry. Ready-to-use detergent for the cleaning of windows and glasses, it removes all kinds of dirt without leaving marks. Usable on any surface. It does not contain silicones.